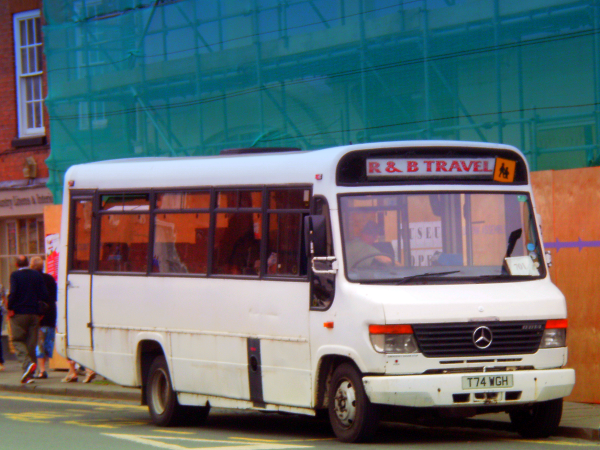 On Monday, 2 September, Ludlow’s “new” town bus service was launched – and it is not good news. The bus service has been cut by half, the buses plying the remaining two routes are clapped out, and one of the two buses does not have disabled or pushchair access. For the best part of a year, Shropshire Council has been saying that people in the town should wait for the bus services to be retendered. After this, the council claimed, we would see improvements. That hasn’t happened. The new service is actually much worse. It is appalling that Shropshire Council thinks this service is adequate. Disabled people and those with mobility problems can’t access much of new service. That’s a disgrace. Vulnerable people will have to order an expensive taxi or remain trapped in their homes unable to get to the shops or the doctors. It’s a requirement under the Transport Act 1985 that Shropshire Council assesses whether a commercial service provides adequate access for the public. If not it can provide a subsidy to facilitate an adequate service. 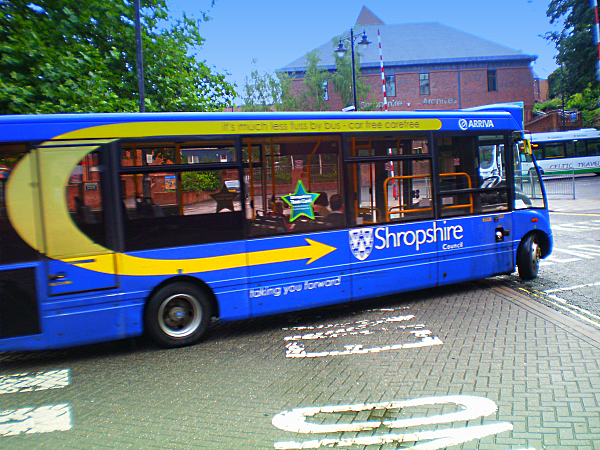 It is a major requirement of the Act that Shropshire Council ensures that services meet the transport needs of members of the public who are elderly or disabled. Shropshire Council hasn’t done this. It has simply abdicated its legal responsibilities and failed to ensure that an adequate and accessible bus service is provided. Shropshire Council’s cabinet seems totally disinterested in bus services in rural areas and small towns. First it cancelled Rural Link. Now it is allowing a wreck of a bus service to be run in Ludlow. Barely more than a month ago, Shropshire Council announced that there will be two operators running Ludlow town service on similar timings and routes to the previous operation. What on earth has happened in the meantime that has left us with this scrappy, inadequate service? So many people have said to me that you wouldn’t get a service as bad as this in Shrewsbury. They are right. It is time that Shropshire Council took its responsibilities seriously towards Ludlow’s residents, the town’s tourists, and the disabled and the elderly. Please let me know your experience of bus services in the town and surrounding area: andy@andybodders.co.uk; Ludlow 874029. Monday 2 September. The 722 running did not have drop floor and had three steps to the passenger area. It had no space for wheelchairs or child buggies. The door would not always shut and on one journey, an elderly man pushed against it to keep it closed. A child buggy blocked the passenger aisle on another journey. The bus ran late all day. Park and ride passengers were refused access at the Eco Park park and ride because the bus was full – they drove away. Other passengers complained at the Tourist Information Office about the long delay in a bus service back to the park and ride. Regular customers were left at bus stops because they had not been told about the new times and routes. Attached is a photo of the bus against the historic backdrop of Ludlow town centre. Tuesday 3 September. The 722 has a drop floor. The 701, is an ancient bus with steep steps and no possibility of disabled access. 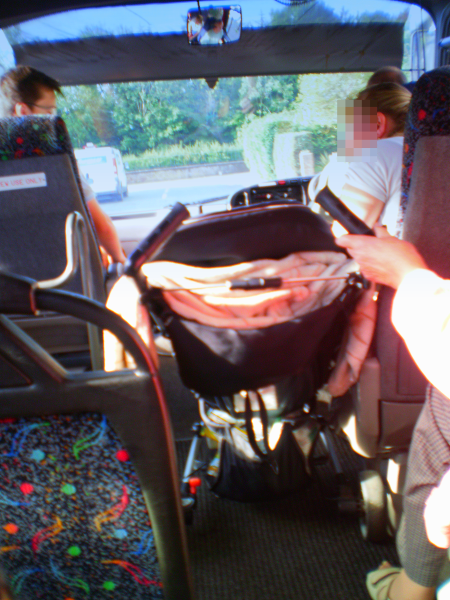 Attached is a photo of the same bus taken in April 2013, showing how difficult it is to load a child buggy onto the bus. The buggy, once aboard, blocked access along the aisles. Friday 6 September. The service has been chaotic all week. The door of the 722 swings open and an elderly man holds it shut for several stops. Mid-afternoon, the bus arrives at Ludlow school to pick up children and parents. Most are left behind as the bus is full. The elderly bus cannot cope with the full load of passengers. It overheats and breaks down in Sandpits. Restarted, it overheats and breaks down in Parry’s Road.